We needed a new laptop computer here at watermanatwork.com to do photo and video editing and we’ve described the shopping experience in a previous blog post. After the usual internet research we decided to take a chance on a company we’ve never heard of. The company was Eluktronics and they sold Clevo computers. The laptop we bought was the Eluktronics N850HK1. It has a powerful Intel i7-7700HQ 2.8-3.8GHz Quad Core CPU, 16G DDR4 2400MHz RAM, NVIDIA GeForce GTX 1050 Ti video card with 4GB GDDR5 VRAM and a 256GB M.2 PCIe NVM SSD; a powerful system for a laptop computer, more than enough for our editing needs. We’ve been using it daily a few months now and have got a pretty good idea what we like and don’t like about this computer. We like the power and speed the system provides for everyday use and working with resource hungry programs like Adobe Premiere Pro and Adobe Photoshop. The dedicated video card and above average LCD display panel makes for great viewing and video game performance. The backlit keyboard is nice, very easy to use in dim or dark rooms while still visible in daylight. It’s a pretty clean looking computer, all black without bold graphics, very thin for all the stuff that’s inside. It’s got enough USB 3.0 and a USB 2.0 ports for peripherals like wireless mice, external drives, cameras and phones. The USB 3.0 is great for storage devices like external drives and memory sticks. 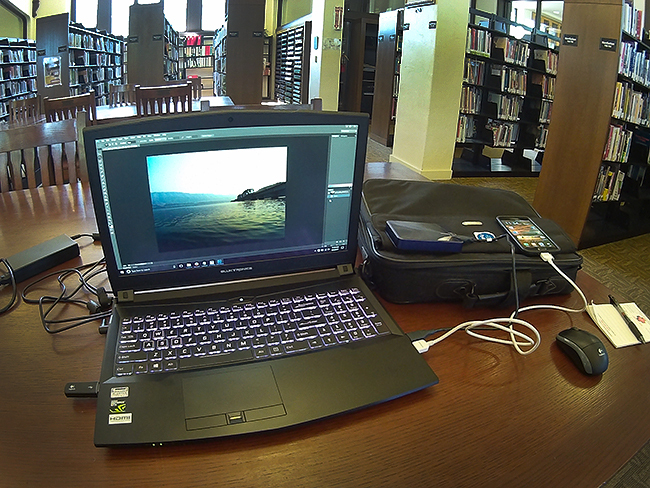 The built-in SD card reader is fast enough to download digital photos and 1080 video. Wireless connectivity is good. Speakers are pretty good for a laptop, with headphones the sound is great. The Clevo drivers provided by Eluktronics work well with Windows 10 Professional and no additional boatware. Battery life is what you would expect for a laptop with power hungry components like this one. For general daily use and internet browsing, we got about 3.5-4 hours of battery life. For gaming, even with a game that uses moderate CPU and GPU power, we only got about an hour of play before we needed to start looking for an electric socket. For checking email, cruising the internet or light to moderate computing, the battery life is fine. For power hungry tasks like photo/video editing and gaming, the computer needs to be plugged in. For the most part, we like the N850HK1 and for the first month or so, it was love at first sight. As we used the computer more and more, some things cropped up that we didn’t really like and there is one major build flaw with this computer that, if we knew of it in advance, we most definitely would have not bought it. We are not big fans of the touchpad/button setup. The touchpad seem over sensitive, the smallest touch sends the cursor flying across the screen. To be fair, we are not huge fans of touchpads in general and usually use a wireless mouse. The 2TB hard drive that comes installed is a Seagate 2TB 128Mb cache 5400 rpm. It is very slow with noticeable lag when writing or reading to the drive. Seagates are not known for their reliability, but there are very few options over 1TB that will fit into the 7mm drive slot, virtually no hard drives running at 7200rpm. The only real replacement option is an SSD. 2TB and larger SSDs are a little out of our price range, we will probably replace the 2TB Seagate hard drive with a 1TB SSD. The computer is generally pretty solid, but the top that houses the LCD panel is very thin. I bends in the middle between the hinges and if the computer is squeezed in a bag or backpack, the keyboard presses against the LCD display panels and leaves marks on the panel. 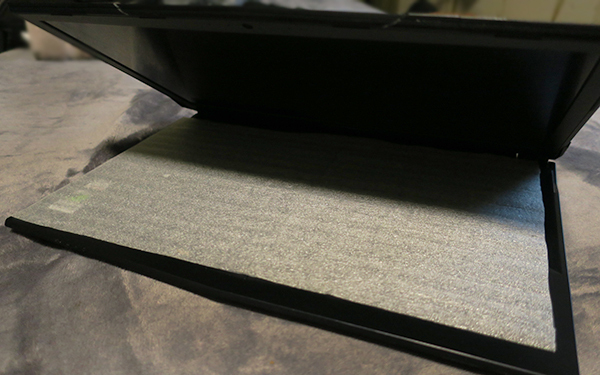 We use a thin piece of packing foam between the panel and the keyboard to prevent this from happening. These things are minor issues and if this was all we didn’t like about the computer, we’d probably be happy as possible. There is one major flaw that really has an impact on the laptop’s functionality that makes this computer a disappointing purchase. A powerful CPU like the i7-7700HQ generates a lot of heat, especially under full load. Unfortunately, the cooling system is not capable of keeping the processor within reasonable temperatures when the CPU is under full load. In the HWMonitor screen grab below, you can see the CPU runs about 45°C at idle and 98°C at 100%, which is way to hot for this processor to be. This CPU will “throttle” or shut down at 100°C, so that is too hot. At 100%, this CPU should be closer to 3.8GHz, so it may have already entered the throttling stage. If you run a computer CPU at temperatures close to the thermal shutdown temperature, it’s going to make for a short life for the CPU. There was an issue with running a Windows 10 Performance power scheme and in Performance Mode of the Clevo Control Center at the same time, this caused the CPU to run extremely hot. You must have “Performance” selected in one program and something other than “Performance” in the other. Even with those settings, the CPU runs up to the thermal shutdown under full load. We tried undervolting the CPU. Undervolting can really help an overheating CPU as well as extend battery life with very little performance penalty, but a sensible undervolt on this CPU did nothing to help the high temperatures when under full load. 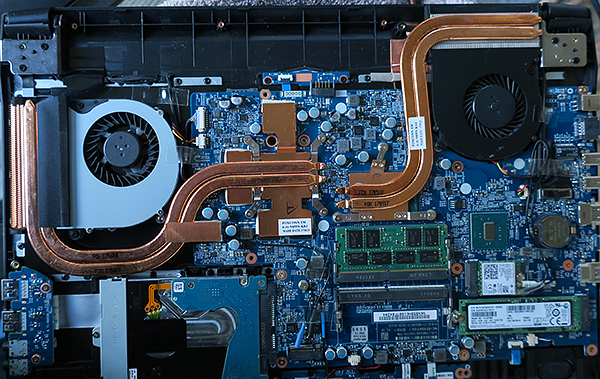 The problem is that the CPU copper heat sink, dual cooling tubes and fan are just not able to keep the CPU within acceptable limits when under full load. The similar GPU heatsink and fan have no problem keeping the video processor cool, even while playing graphically demanding video games. This Intel has Turbo Boost that will allow the processor to run at 3.8GHz. 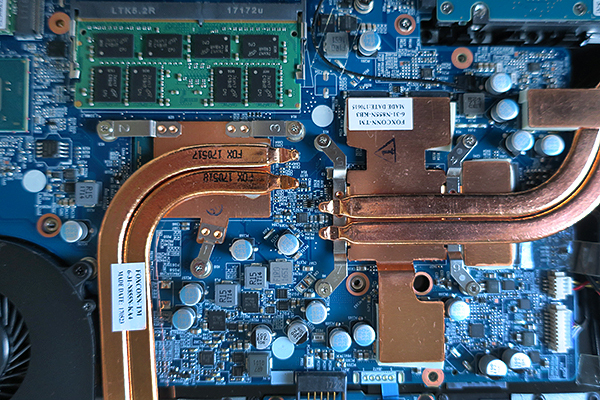 Maybe it’s just my desktop, server and workstation building experience that tells me when I look at the N850HK1 CPU heat sink(on the right) on top of a 3.8GHz processor, it just doesn’t look like it’s going to get the job done. I repasted CPU with Arctic MX-4 to replace the poor thermal paste application from Eluktronics. Most of the thermal paste was on the motherboard, hardly any between the CPU and heat sink. Repasting the CPU lowered the idle temperature by more than 15°C, but did nothing to reduce the max temp under full load. The only way to keep the CPU from frying itself was to dial down the Maximum Processor State in the Advanced Power Settings of the Windows 10 Control Panel to 98%. That essentially disables the CPU Turbo Boost and limits the maximum processor power to about 2.8GHz. This is a real performance hit because you are losing nearly 1GHz of processing power, we are getting less than 70% of the CPU power we paid for. The inability to use the CPU at full power is a major disappointment, both with the hardware from Clevo and the setup by Eluktronics, the reseller. Eluktronics told me that this overheating problem is only with my computer. Browsing Clevo laptop computer forums does not really back this up; overheating is a major concern with many Clevo computers. Even if this particular computer is the only Eluktronics laptop computer that has an overheating problem, that means Eluktronics assembled this computer and sent it to me without even basic testing. 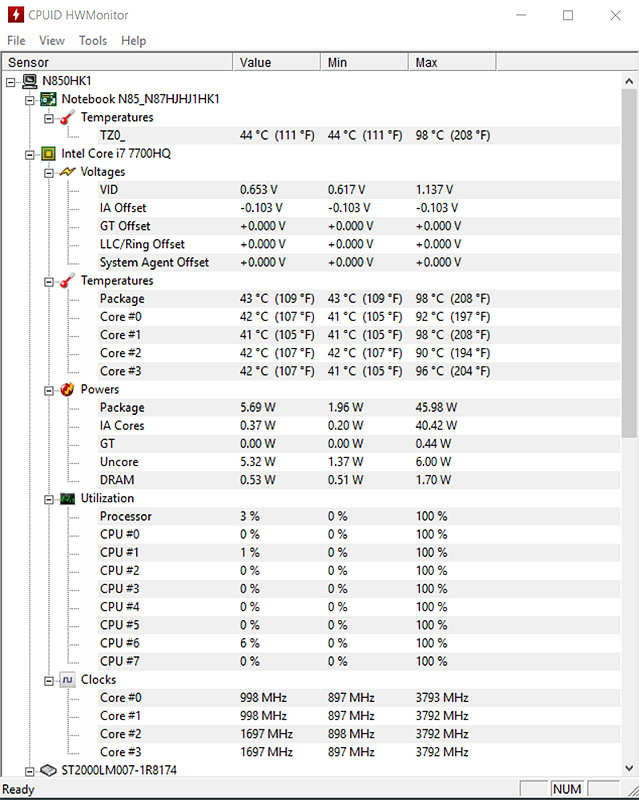 When I received the computer, the temperature at idle was 65°C, way to high for a computer like this. That was due to a crappy thermal paste job on the CPU. Since they offer an “Extra Cooling Solution” of Arctic Silver 5 at additional cost, they clearly know the stock cooling is inadequate. 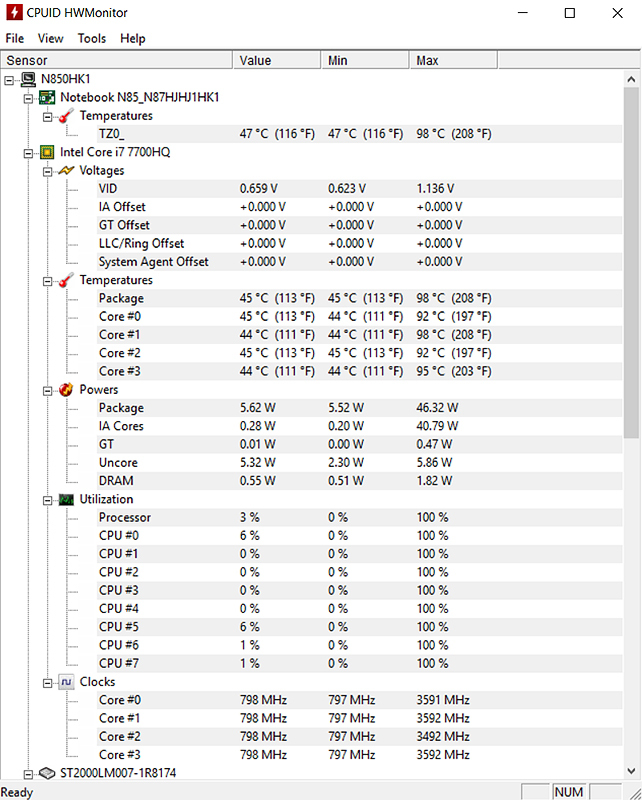 When I repasted the CPU with Arctic MX-4, which by most accounts is superior to Arctic Silver 5 and dropped the stock cooling temperature at idle buy nearly 20°C, Eluktronics voided the one year warranty on my computer because I was “tinkering” with it. They did offer to RMA the computer, but I travel frequently which makes it difficult to do. Before I purchased the computer, I told Eluktronics that I would be depending on the reliability of their computer out of the box, to which they replied “no problem”, which was 100% BS. There is a huge question mark with Clevo resellers like Eluktronics who cut corners on final assembly and quality control. Would we buy another Clevo laptop computer? 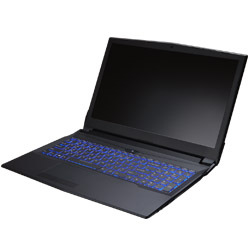 Even though we like many things about this nice looking and powerful laptop, due to the uncertainty regarding Clevo vendors like Eluktronics, we would not take another chance with a Clevo reseller hoping to get a 100% working computer who voids the customer warranty for fixing problems that should have been taken care of before the computer was sold. We are a small business and try to purchase from other small businesses whenever possible, this was a significant factor in our decision to go with Eluktronics, a small business we had never heard of. We took a chance and got burned, next time we have an opportunity to patronize another small business, we’ll keep that in mind. Bottom line, if you like to gamble, get a Clevo from Eluktronics, maybe you’ll get a good one. If you need reliability and customer service, go somewhere else. 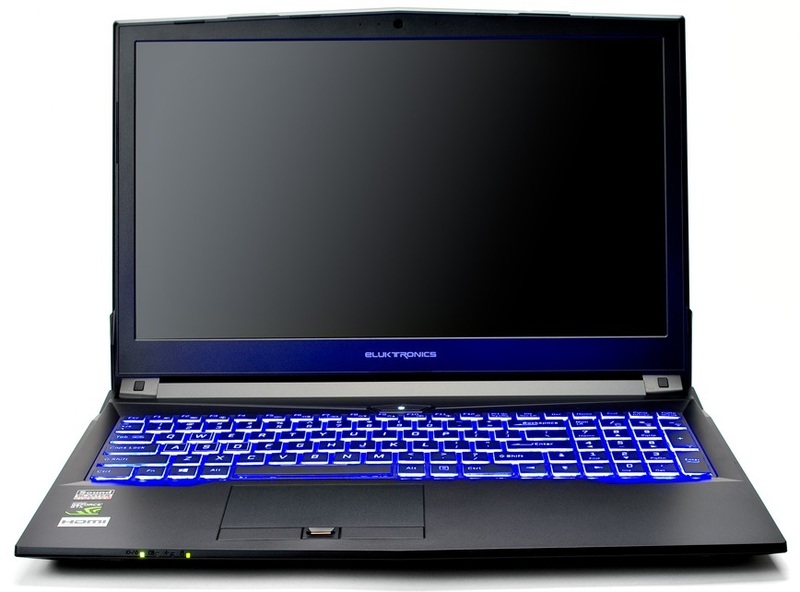 We are going to spending some time on the road, so we here at watermanatwork.com are in the market for a laptop computer that can handle the video and photo editing tasks as well as do a little bit of video gaming on the side. As always, price is a factor. If we had unlimited funds, the decision would be a lot easier, but we need to get the most bang for our bucks. As always, we pay for all of our gear just like you do, so our reviews and articles are not biased in any way. We build all of our own workstations, servers and desktop computers, but laptops are generally pretty limited when it comes to upgrades and customization, so you pretty much have to get the main components you want, like the CPU(processor) and GPU(graphics processor), out of the box. Some components can be upgraded, we’ll cover that as we go along. We have a pretty good idea of what we would like to spend and the components we can get at that price point. Like most computer purchases, you’ll find computers with mostly the same specifications from different manufacturers. That’s where things like warranty, customer service and company reputation come into the picture. For this computer, we want to stay in the $1200USD range, give or take a few dollars. For sure we want an 7th Generation Intel Core i7-7700HQ Quad Core CPU. This powerful 2.8Ghz(3.8Ghz Turbo) processor will be able to handle all of our editing and gaming needs. It also has onboard graphics, but for our graphics, and especially gaming requirements, we want a dedicated graphics; a graphics processor separate from the main CPU. This will give us much better graphic quality. The best price/performance GPU for our needs is the NVIDIA GeForce GTX 1050Ti GPU with 4GB GDDR5 Video Memory. To go with the dedicated GPU, especially for our editing jobs, we want an IPS LCD display. There are cheaper LCD panels, but this is one place we don’t want to skimp. Things we would need are 16G of RAM minimum, a PCIe SSD for our operating system and at least one SSD or hard drive for storage. These components are usually upgradeable, but if we can get what we want from the manufacturer, that will save us money down the road. We’ll get into more details as we go along. A basic decision is should we go with a traditional mobile workstation or a recent newer line of consumer gaming computers? Mobile workstations are nice; powerful, durable and built for heavy duty work. They also come with a heavy duty price tag, probably close to double what we would like to spend. We are looking at a relatively new genre of laptop “gaming” computers. This type of computer has plenty of power necessary to run demanding computer games which means they have all the power needed for the 1920×1080 video editing and photo work we have. The downside of gaming computers is that they are not as durable as mobile workstations and the cooling may not be as good. Since we will be spending a lot of time traveling, we won’t be able to easily ship the computer back and forth for repairs, so reliability is one of the most important purchasing decisions. As with most computer purchases, it’s a price/performance/reliability trade off that usually causes a potential computer buyer to spend hours doing research trying to figure out which computer or component to purchase. We’ve been looking around for awhile and have a couple laptops leading the pack for our hard earned money. The Dell Inspirion 15 7000 Gaming(7567) and the Sager NP6852 are the computers that seem to have everything we are looking for. 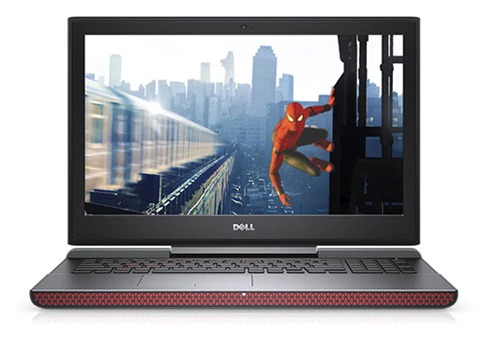 Dell is one of the most well known computer brands while Sager is a laptop specialist popular with enthusiasts. The Dell Inspirion 7567 is a solid computer. Positives would be Dell’s generally good record for quality products and solid warranties. The battery life is very good, perhaps the best, in this computer class, that’s a big plus. Negatives would be Dell’s proprietary software and partitioning scheme that can make upgrades and software configuration difficult, if not impossible. We have a good deal of experience with Dell computers and while Dell Business Customer Service is very good, for everyone else, it is hit and miss. Since we will be in there with “everyone else”, we have to count Dell customer service as mostly negative. For the price and what you get, the Dell Inspirion 15 7000 is still a leading contender, as long as nothing goes wrong. The Sager NP6852 is actually a Clevo N850HK1. Clevo is a Taiwanese OEM/ODM laptop computer manufacturer, Sager is one of a number of resellers for their laptop computers. The upside of the Sager NP6852 is that is is more user upgradeable/serviceable and for a few bucks more comes a 250G Samsung 960 EVO M.2 PCIe NVMe SSD, where the Dell Inspirion comes with a 128GB SSD and 1TB 5400RPM hard drive. The absence of bloatware and proprietary software is a plus. The downside of the Sager NP6852 is the question of reliabilty and customer service. Although reviews on the internet seem mostly positive, we have personally never had any experience with Sager. This is a big negative for us. Sager may be the best company on the face of the earth, we just don’t know anything about them. We’ve sent emails to both Dell and Sager asking a few questions about their computer’s components and configurations. We’ll see what they have to say and continue with our research. We will also be checking out laptops with basically the same specifications like the Lenovo Legion Y520 and laptops from Asus and MSI. We’ll be updating this blog as we get closer to making a final decision. 7-20-17 Update We’ve been looking at a lot of laptop computers and finally the time spent researching has paid off. We liked the Dell Inspiron 7567 but could not get any information about the computer’s components. Buying a $1200 computer without knowing the brand and model of the PCIe SSD, hard drive and especially, the display panel is ridiculous. I could not get a straight answer from anybody at Dell despite repeated attempts. Emails to Dell sales department went unanswered. Throw in Dell bloatware and proprietary software to compliment the poor customer service and that’s all she wrote. Despite the fact I had never heard of Sager until we started looking for this laptop, they seemed like they were willing to provide the customer service we would expect. We really liked the Sager NP6852/Clevo N850HK1, but Sager informed me the computer used an LG LP156WF6-SPK3 display panel, which is not a very good IPS panel. We were hoping we could find the Clevo N850HK1 computer from another vendor with a better IPS display panel and we came across Eluktronics. Eluktronics sells Clevo laptops, but while the chassis, motherboard and other core components are the same, different vendors have different components like display panels, memory, solid state drives hard drives and other components. Eluktronics sells the Clevo N850HK1 as the Eluktro Pro N850 Series N850HK1. It has all the stuff we want; Intel i7-7700HQ Quad Core CPU, GeForce GTX 1050 Ti, 16G DDR4 2400MHz RAM and a 256G M.2 PCIe NVMe Flash SSD. What sold us on this version of the Clevo N850HK1 is that Eluktronics specs their version with Crucial memory, their “house brand” 256GB Eluktro Pro-X Performance M.2 PCIe NVMe Flash SSD, which is a Samsung PM961 Polaris M.2-2280 PCI-e 3.0 x 4 NVMe Single-Sided Solid State Drive and a huge plus is an LG LP156WF6-SPB1 display panel, which is significantly better than the LG LP156WF6-SPK3. Like Sager, I had never heard of Eluktronics until a few days ago. When I contacted them for information, they responded quickly with all the information I asked for. I asked them to swap a hard drive that we really didn’t need for an upgrade from Windows 10 Home to Windows 10 Pro, they said it would be no problem. Free shipping is also another big plus. 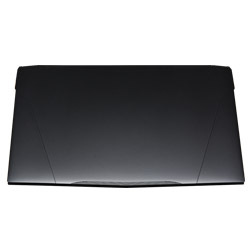 Along with a slew of great reviews about Eluktronics, I feel pretty good about purchasing a laptop from them.